Do you ever have days when you are so crazy busy that at the end of the day you don’t even remember what you did? Yeah…that used to be me on a daily basis. Running and managing Baby Chick and taking care of our 1 year old can take a lot out of me and it can be hard to remember everything and keep my life organized. Fitting in all of my appointments, my staff’s appointments, deadlines, payroll, marketing plans, and my personal life (the very little one that I do have), it can be a chore to keep it all together. I know moms feel the exact same way. Keeping track of your kiddos’ schedules, your schedule, to-do lists, etc., things can get hectic! Luckily, a few years ago I was introduced to an amazing company that I quickly fell in love with called Erin Condren. If you haven’t heard of Erin Condren, A.) I am shocked, and B.) I’m about to change. your. world! Thank you, Erin Condren, for sending me all of these goodies! To start, if someone were to ask me who or what Erin Condren is I would say, “Erin Condren is a smart and savvy mompreneur who created a lifestyle brand that is all about personalization, organization, and living life colorfully.” After 10+ years, Erin has now grown her company to amazing heights and has many different products that many people adore in their home, their office, and even when they’re on-the-go. But for Erin, it all started with one product. A planner. 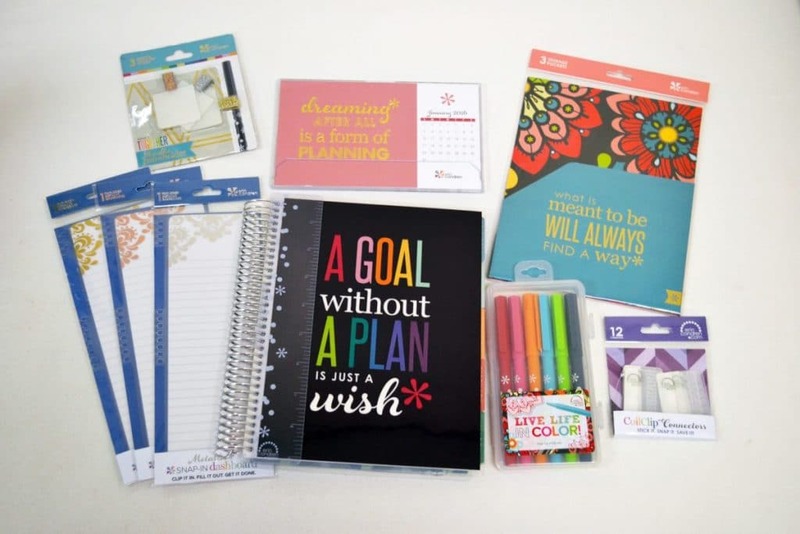 But not just any planner….. the life planner. This planner has changed not only her world, but it has helped change and shape others’ as well for the better. How so, you ask? Well, speaking for myself, years ago I was looking for a product to keep me focused, on track, help me stay motivated and my life organized, but also still feel like me. That’s not too much to ask, right? 😉 Well Erin’s company does just that. Having discovered her company, it has helped me meet deadlines, achieve my goals, grow my businesses to new levels, and help me celebrate every day. This is obvious because this applies to everyone. We all have to write things down to remember what we need to accomplish. Whether that’s a grocery list, a to-do list, a reminder of an appointment or what someone told you, you sometimes have to write things down to get things done! This especially applies to moms. You not only have to remember your to-do list, but everyone else’s to-do’s in your home. It’s impossible to remember every single detail. This is why writing things down can help you stay on top of it all. So what do you have that you can carry with you and help you stay organized? Erin Condren has several cute options that make it easy, convenient and fun! By writing things down, it helps me keep track of my to-do lists for the day or for the week, I can see what I have on my schedule that day, if there are any upcoming deadlines, and so much more. Owning and operating two businesses is a lot for anyone and sometimes things can slip through the cracks if I don’t stay on top of it. But when you have products that are special to you and that help you have a more productive life, they become an important part of your routine and they are worth their weight in gold! This is exactly how I feel about my Erin Condren products. So we’ve covered that it’s good to write things down. Do you have a place where you can keep your lists, notes and schedules organized? Do you have something that you can have on hand so if something comes up you can easily add it to your list? My life planner does! It has note sections, a daily/weekly/monthly calendar, a zip-up pouch where I can keep all the business cards I collect, a double-sided storage pocket to save important information or printouts, stickers, an address section and so much more! It’s super easy and convenient and with such a fun and happy product, who wouldn’t want to carry it with them wherever they go? For me, when I have everything written out and organized I feel so much more in control of my days as well as productive. It’s therapeutic for me to see my goals; not just see them in my mind, but to see them on paper. It brings my goals to life! I am a big believer that you should see your goals daily if not more than once a day. It helps you remember the bigger picture and what you a striving for! I’m a firm believer that everyone should practice saying or writing out the things that they are thankful for. It’s something that I try to do everyday. When I started this practice of listing out all of the things that I was grateful for, I discovered many more positive things coming into my life and I began to see more opportunities and doors open. For my daily gratitude, there are designated spaces each week in my planner where I can write down what I am thankful for. The planner allows me to look at the small details in my day, but it also helps me see the bigger picture as I look at what I’ve accomplished so far and what I have coming up. When you see the big picture, it’s much easier to practice your daily gratitude. I highly recommend doing it because it will take you to new heights! Now call me crazy, but I actually think it’s a ton of FUN entering in the details of my life and work in my planner. By personalizing it, adding a sticker, using a new marker or whatever, it makes me enjoy even the not-so-fun things. There are always things that we don’t necessarily look forward to doing. For me it’s taking care of payroll, or anything to do with taxes or accounting. It’s just not my jam. But when I have a cute sticker and fun markers to spice up my life, I began to look at the not so glamorous things in my life in a whole new light. The more positivity you see, the more positivity comes back to you! As you can tell, my planner has pretty much become my work/life journal. I can look at last year’s planner and see all the fun things I went to and all the things that I completed. It makes so much sense to me why they call it a “life planner” because you have the ability to make time in your planner (and in your life) to put everything that is important to you. Even those date nights or happy hours, work outs, times for meditation, you have to pencil it in. If you’re anything like me, I have to schedule out my day/week in advance or else it won’t happen. That includes workouts and quiet time/alone time. My Erin Condren products help me take better care of myself which then allows me to be a better owner and a better boss. I like to make quarterly goals for myself and be able to look back and see the progress that I’ve made over the year. With my life planner, I can easily do that and see all the things that I’ve accomplished and how far I’ve grown. It also helps me hold myself accountable throughout each quarter and stay on track with meeting my goals. As Erin has said, “it’s more than just scheduling everyday, it’s celebrating everyday.” And I couldn’t agree with her more. Carrying around my planner and having her products in my office and home makes me happy. I don’t know how else to describe it. When you recognize things in your life that help you grow and become a more organized and productive person, why wouldn’t you keep reinvesting in those products year after year? You’re essentially reinvesting in yourself. And since you also have the ability to design those very things yourself, that’s just the cherry on top! Now go check out the Erin Condren site and let me know what you think. Do you have any EC products? Which ones are your favs?